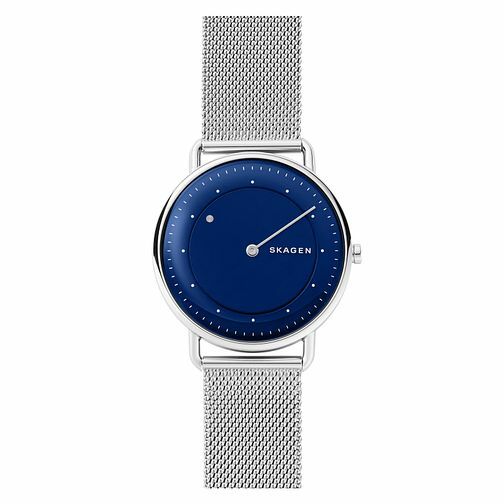 This special-edition Horizont watch by Skagen features a 40mm sandblasted rich blue dial, with dot hour and linear minute indexes. Taking inspiration from the moon's orbit around Earth, this timepiece only has one sleek linear minute hand, with the hour indicated by silver tone disc which orbits around the dial. Complete with a stainless steel mesh bracelet, this special edition watch also boasts an engraved caseback to commemorate.